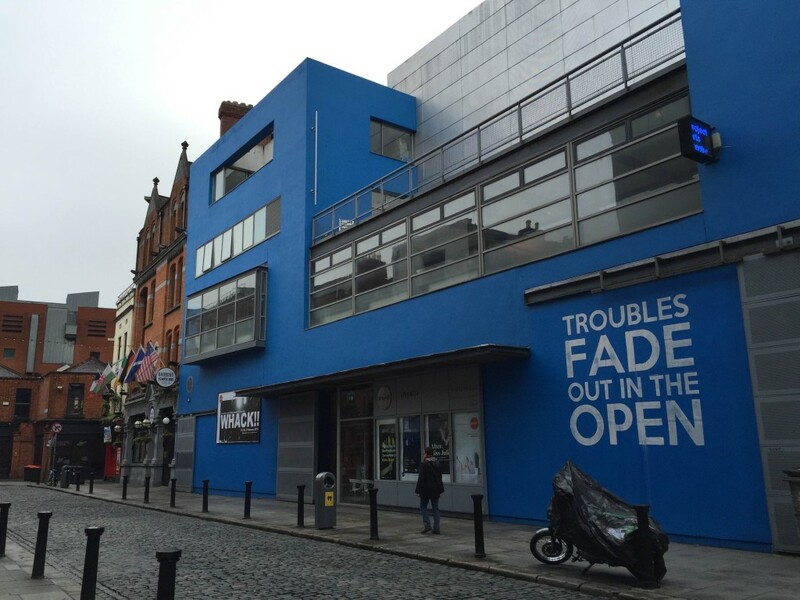 Following the success of last year’s Yes Equality mural, we are delighted to announce a new mural for the walls of the Big Blue Building. Will St Leger is opening a bank of secrets in which you can deposit your secrets on pieces of paper. Then, these secrets will be sealed and burned to ash, which will be mixed with paint and used to create a new street art mural on the outside of Project. January for me is that time of year when I’m not feeling my best. It’s a combination of short daylight time, creative inactivity and post Christmas blues. This year I’ve decided to break that pattern by creating a new project called, the Bank of Secrets – the concept is simple. I’m opening a ‘bank’ at Gallery X, 65 South William Street for one day. I’m asking the public to come there and deposit a secret on paper. These secrets will not be read, instead that will be sealed and burned to ashes, mixed with water based paint and turned into a street art mural. 3. Due to the delicate nature of the paint, the weather will wash away the mural and, in turn, your secrets. This process may take an hour, a day, a week or even a month – who knows with our weather! 4. 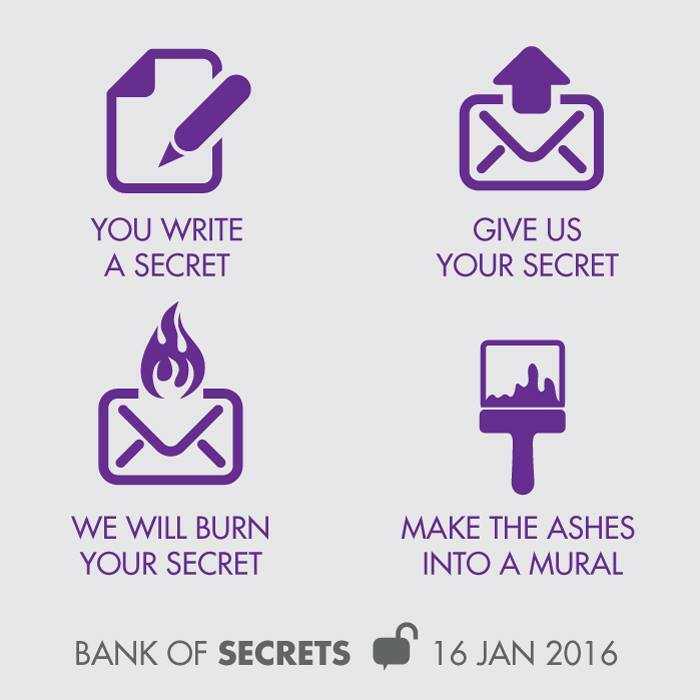 Follow the project on social media using the hashtag #BankOfSecrets and follow SecretsBank on Facebook and Twitter. You can also engage with Will on Facebook, Twitter, Instagram, Snapchat or YouTube. Will St Leger is a Dublin based artist/activist. Read more about his work here. Last year, we took part in Walls of Equality, the mural campaign in support of Marriage Equality. Our mural by Sums One was an impactful and powerful statement of love and social change. This city-wide street art activism was organised by Will St Leger. 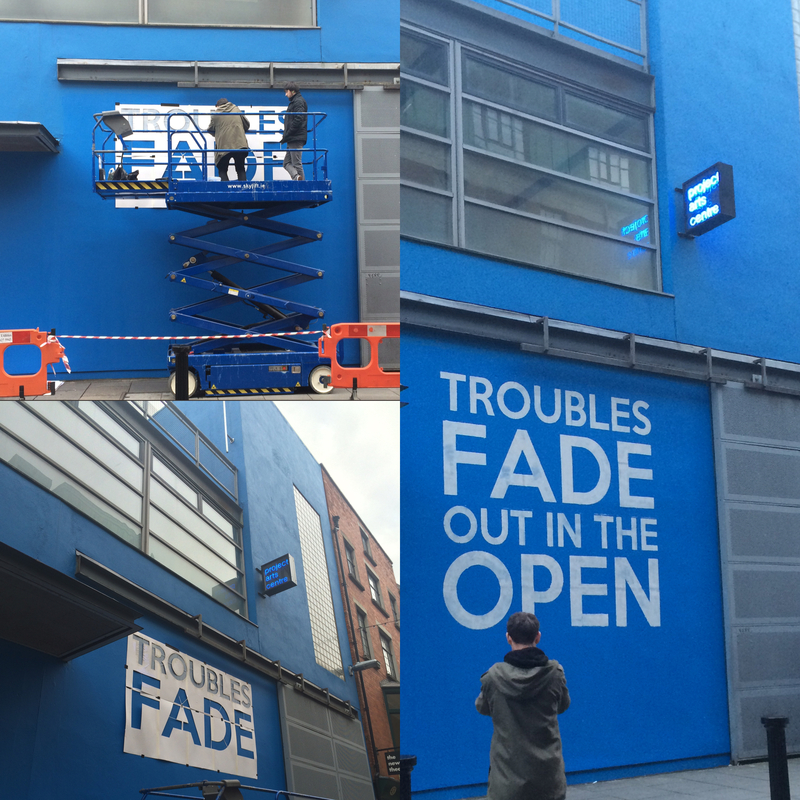 We are delighted to partner with Will once again on another exciting street art project.